I used to be a one-and-done kinda gal with foundations and bases, which is why I've stuck with sh*tty bases for the longest time (-coughcoughL'OrealTrueMatch-), but then I realised, I HAD MONEY AND I HAD OPTIONS. TOO MANY OPTIONS, IN FACT. 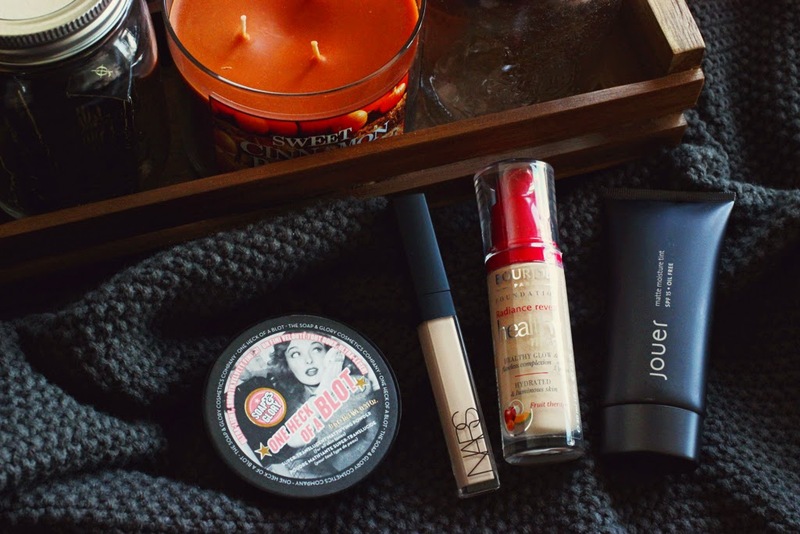 Here are some of base products I'm completely smitten with at the moment. While the serum version isn't my favourite, the regular one...OH BLESS THE REGULAR ONE. Yellow undertone, medium coverage that doesn't look cakey, semi-matte finish; this foundation has been my go-to as of late. This obviously doesn't cover all my acne and hyperpigmentation, but when I ~strategically~ conceal those with the NARS Radiant Creamy concealer, HELLO FAKE FLAWLESS SKIN. My only real issue with this foundation is that my oily skin starts getting hungry and starts eating it up at the 4-5 hour mark unless I powder like a mofo. The only concealer I think I'll ever need in my life (welllll, I still want to try MUFE's Full Cover, but Y'KNOW). Though this concealer is on the thicker side, I'm actually impressed that it sets by itself and lasts throughout the day (unlike Benefit's Boi-ing, which I fired and replaced with NARS). I typically dab this on blemishes and hyperpigmentation, though this works well for the undereye area too. PERFECTION IN A TUBE, BASICALLY. Which base products complete your soul?